Published on August 29, 2018 in Releases. 0 Comments Tags: App, Beta, Early Access, iOS, Voyant AR, WCMR, West Coast Mixed Reality. Make your mark on the real world with a simple tap of your phone, with new augmented reality app DropIt coming soon to an iPhone near you. Reaching out to the Let’s Make Games community, creators Voyant AR are looking for beta testers to put the app through its paces. 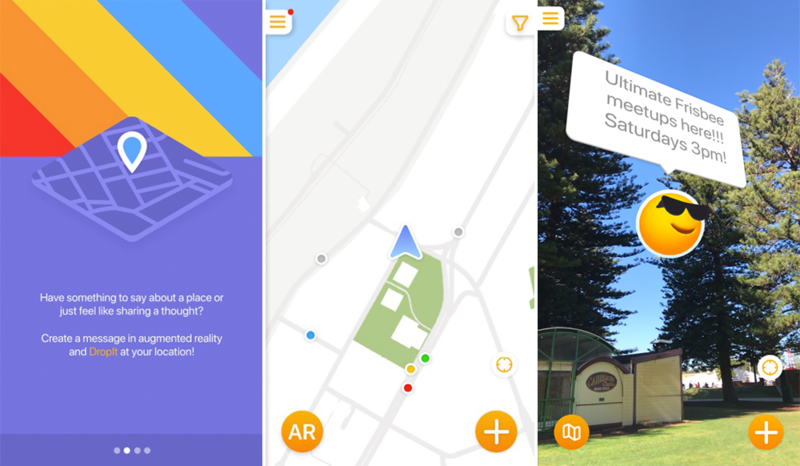 DropIt is an app that lets you create messages in augmented reality and drop them at specific locations in the real world for other people to find. Drops stay alive for 3 days (72 hours) before disappearing. But if you like someone’s drop, its life will be extended for another day (24 hours). DropIt allows people to create their own augmented reality messages and communicate with friends, leave helpful tips for their community or make a public statement about an important issue. Whether you’re an early adopter, adept app breaker, or even an otherwise average user, your testing skills will help hone this app prior to its official release. All you need is an iPhone 6S or later. To try your hand at this augmented reality, simply visit www.dropdropdropit.com and sign up! Published on August 8, 2017 in News. 0 Comments Tags: Artisan Games, Beta, Collateral Damage, Gameplay Trailer, video. 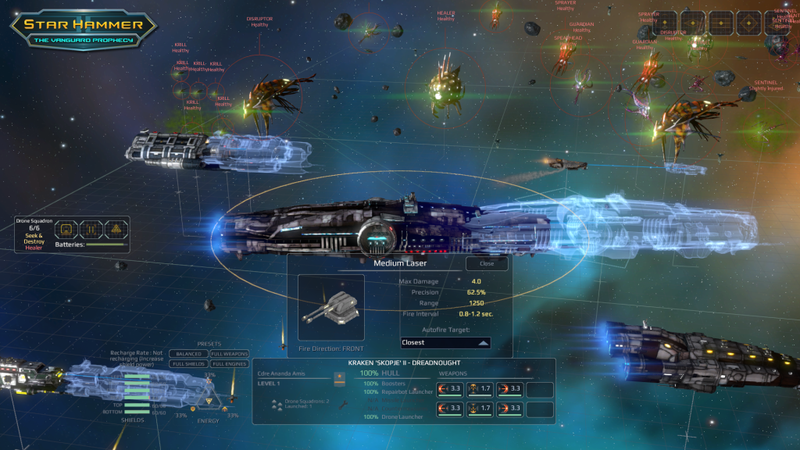 Join the fight for cybernetic space supremacy with the beta for upcoming game Collateral Damage. Battles with up to 8 other robots, while helping developers Artisan Games ensure the titles is bug-free before release. Each robot has a unique personality and combat style. They fight for both individual and factional gain. Each robot is equipped with at least one melee weapon, and one ranged weapon. They use tactical skills to overcome opponents. Head on over to the Collateral Damage website to sign up for the beta; you can also check out a gameplay preview below to prepare yourself for the ensuing mechanical matches. Published on October 28, 2016 in News. 0 Comments Tags: 42 Bytes, Android, Beta, Google Play, Last DriverZ, playtesting. 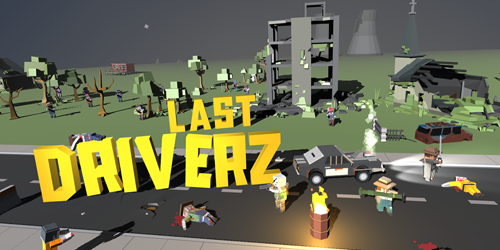 Following a successful showcase at the Perth Games Festival, local studio 42 Bytes continue to test survival skills in their mobile beta for Last DriverZ. If you have an Android device, you too could be running down zombies, seeking out supplies, and upgrading a wide range of weaponry right now (not to mention playtesting a yet-to-be-released game). Dive into the post-apocalyptic world of the DriverZ trying to make your way through beat up streets, threading through wreckages, running over zombies, and pillaging old warehouses and general stores trying to upgrade your vehicles and recruit more people for your group of survivors! You can get the beta for Last DriverZ now via Google Play, and stay up to date with all their news via 42 Bytes’ twitter. BONUS: iPhone users will soon be able to get in on the apocalypse action by signing up to the closed beta. Published on October 24, 2016 in Releases. 0 Comments Tags: Android, Beta, Crazy Coasters, Google Play, play testing, Super Cookie Games. Super Cookie Games have returned with more super cute animals, but this time with a hint of death and destruction. 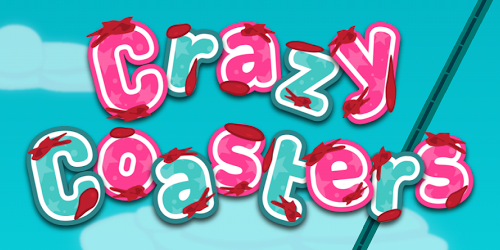 The beta for their upcoming game Crazy Coasters is on Google Play, so if you have yet to join in the rollercoaster chaos (complete with entertaining game-over gifs) be sure to check it out. There’s a sneak peak of the gameplay below, and if you’re keen to start testing out this adorably evil game, simply head on over to Super Cookie’s Google Play page. Published on February 19, 2016 in News. 0 Comments Tags: Beta, demo, iOS, play testing, Whacky Ball, Whacky Brew. What makes a mobile game a hit? Having something fun, easy to play and unique is a certainly good way to get the ball rolling. Local developer Whacky Brew is working on a game that does just that, and now they’re looking for iOS beta testers to take Whacky Ball for a spin. Whacky Ball is a challenging game of balls for iPhone and iPad that uses your device’s camera to transport you onto the screen and into the game action. Use your hands or head to keep the balls up in the air before shooting for goal. Check out the video below to get an idea of the wacky gameplay on offer. To join the beta, simply shoot an email to info@whackyball.com and they’ll get you in the game. Published on February 9, 2016 in News. 0 Comments Tags: Android, Bear-Tooth Studios, Beta, demo, Super Salmon Migration. Jumping into 2016, Bear-Tooth Studios have released the demo of their latest game Super Salmon Migration into the wild. This migratory mobile game was first shown at the Perth Games Festival alongside Arbalest 3035, but now you have the chance to take it home and test your survival skills. Not only do you get to play the game early, you’ll be helping the developer tackle any issues, and fine-tuna the game. Welcome to the Super Salmon Migration Demo! You play as a fish and must brave the treacherous waters whilst dodging various obstacles. Aquire collectables and trade them in for sweet Fi$h Bucks and buy some costumes. You can grab the demo right now via Google Play, and get leap right into the action. Published on January 29, 2016 in News. 0 Comments Tags: Beta, iPad, Outback Pixels, Roid Rage. Kalgoorlie-based studio Outback Pixels are currently seeking space explorers willing to take on a mission to test the limits of their upcoming iPad game Roid Rage. ROID RAGE is a finger-breaking, asteroid destroying, clicker that allows you to buy and upgrade your skills, boosts and space crafts. Tap to destroy ROIDS and collect High-Grade and Low-Grade Resources in a dynamic low-poly galaxy. Keep an eye on your cargo and jettison Low-Grade resources to make space for more. Collect resources for CREDS and unlock and upgrade skills and bigger and better space craft. If you’re ready to tap into your inner beta tester, head on over to Roid Rage signup page now, and you’ll be smashing your way through asteroids within 24 hours! Local testers wanted for Star Hammer VP iPad Beta, plus Manta Update details! Published on November 11, 2015 in News. 0 Comments Tags: Beta, Star Hammer, Star Hammer: Vanguard Prophecy, update. There’s still time to sign up to defend the planet Novus, in the iPad beta for Star Hammer: The Vanguard Prophecy. Diligently working away, the star gazers at Black Lab Games have not only released a massive update recently on Steam, they’ve also created a handy sign up form for their iPad beta. Sometimes you just need to zero the hostiles completely; demolition, destruction, absolute tactical oblivion. That’s where the brand new Manta-class light cruiser comes in. Four dedicated missile launch bays means the Manta can ruin your opponent’s day like nothing else in the fleet. Either let the guided payloads find four different targets, or focus fire on a single mark for scorched earth tactics. As for the iPad beta, they have simplified the process of getting out into space with a simple online sign up form. The studio are particularly interested in sourcing local (Perth) testers; this is a great opportunity for students looking to get some testing expeience, not to mention a fun way to get your hands on the game before it hits the Perth Games Festival. So if you reckon the Coalition can count on you to fight the onslaught of enemy space squids, now is the time to put your hand up and join Valeron’s crew in saving Novus! Published on September 8, 2015 in News. 0 Comments Tags: Beta, Black Lab Games, iPad, Star Hammer: Vanguard Prophecy. 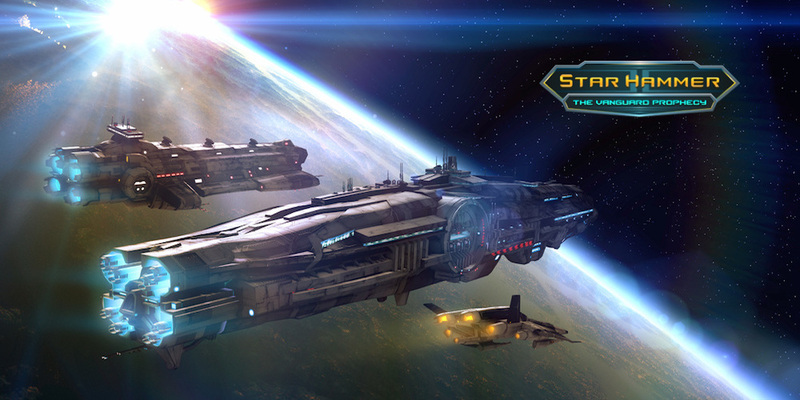 Earlier this year saw Star Hammer: The Vanguard Prophecy, a WEGO space strategy game, hit the Steam and send players off to defend the planet Novus. Now the fight has spread onto the iPad, but before humanity can defeat the armada of space squids Black Lab Games needs your help to defeat bugs by means of beta testing. The beta test is being coordinated by publisher Slitherine Ltd, so to join the fun and test both Star Hammer: VP and your skills, head on over their sign up page. You will need to create an account, but rest assured your contribution to the people of planet Novus, and the Coalition forces will be greatly appreciated! Disclaimer: In the interest of transparency, please note that the author of this article (and sole news writer at LMG) is associated with this games project. Published on July 18, 2014 in General. 1 Comment Tags: Beta, Binary Space, Zombie Outbreak Simulator. We know that you are always keen to support the gaming work of fellow West Australians, so we’re here with a quick reminder that Binary Space are still looking for beta testers for their upcoming undead endeavour, Zombie Outbreak Simulator. Since receiving funding from Screen Australia last year the crew have been working hard to get the game ready for Android, but now they need your help! So if you are interested in lending a severed hand to the cause, and have a Android 4.0 (Ice Cream Sandwich) or above, go fill out this form and get ready for a zombie outbreak in a neighbourhood near you. The Let's Make Games archives for the beta tag.